Plane tickets purchased? Check. Essential things packed? Check. Accommodation booked? Check. 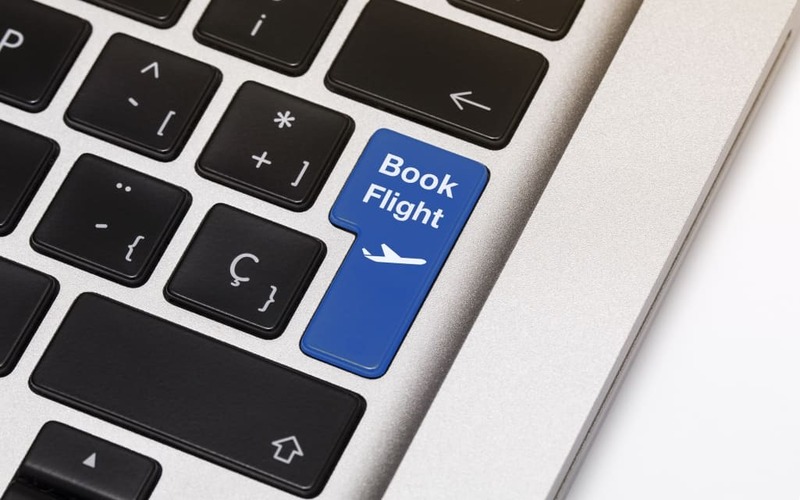 Planning your flight can be just as fun as taking it. After deciding you want to travel, there are some essential things you should consider before booking your flight. You need to do some planning before selecting your flight. In this brief, I am going to share some of the most essential things to bear in mind before you book your flights. The first thing to take into considerations before booking your next flight is the date and the preferred flight time. If your flight dates are fixed and you have to travel on a specific day, then you need to ensure you research enough. For those who are flexible, then take more time to do your research. You already have enough time to do a comprehensive research searching for cheaper deals. You can as well decide the specific day to travel. Some traveling companies offer cheaper deals when you travel during the weekday than traveling on the weekend. This is another very important factor. This is especially a very important factor if you are leaving for a vacation or an international tour. When you have a lot of Baggage, then you should take time to search and select one Arline which allows more baggage. Airlines would generally allow a certain amount of baggage. Some airlines usually charge an extra fee for any baggage over and above the set limit. The other thing to note is that the baggage rules differ from one airline to the other. For this reason, you need to consider whether your chosen airline satisfies your needs in this regard. You also have to determine the number of stop-overs before the final destination. Even if you want to take a direct flight, you need to check the number of halts. This is one of the factors that determines the total time taken to complete your journey. This factor also helps you determine the value of your ticket. I usually think that it is important to think whether you want to waste more time in between before reaching the final destination and save some money or just go direct and pay more. Besides knowing where to go and when to start the journey, you have to also determine the day of the week to book your flight. It doesn’t matter whether your motivations is savings or something else, try and book your flights during week days. Check out when you can save more money. You should as well track price trends for a particular destination over time. I forgot to state this as the first consideration. You first of all need to take time to structure your budget. After this, take more time searching for a travel agency that matches your budget. There are some of the airline search Engine that will tell you if the fare is expected to go down. You can use the Google Flights calendar to see when the prices are expected to come down. Additionally, you can subscribe to fare alerts. Some companies will alert you via email about new low prices as they arises. If you are flexible, then hold on and wait for lower prices. Get organized and put all your travel documents together. Some of them includes your entry visas, driving license, the boarding pass or even hotel confirmation. The other thing is that you should as well take a list of all the useful numbers that you may be forced to use during and after your travel. You can also take a picture of your passport number for in case you find yourself without it. This is something you can easily underestimate but the reality of the matter is where to seat determines your inflight experience. The most exciting thing about flights is the untold adventures awaiting you at your destination. For this reason, when you are flying, which side or section of the plane you sit determines how comfortable you will be according to the destination. On a hot summer day, opt to the side of the plane that is not in direct sunlight . If you are traveling during the night, then you should opt for a seat on the side that faces north for most of the trip. This might offer the greatest chance of aurora borealis spotting. Even the pro travelers need to take some more time to double check their flight options, just to be sure. Sometimes you may make mistakes in your rush to book that perfect flight. Most of the travelers make mistakes that they didn’t even know that the flight company can offer more time for them to correct. You have to travel when you are sure that everything is in order. If there’s an issue, then take advantage of this grace period and correct. What this means is that you should book your flight early enough so that you will have enough time to change your mind. Don’t be in a hurry to travel. The best way is to plan early enough, specifically one month before the D-day. During this period, you can be able to change or even cancel the flight if you are not totally sure what your plans really are. Sometimes you know where to go but what follows can be confusing. In some deals, you can be able to add a Multiplex Pass to your flight. They will help you change or even cancel the whole plan in case something is not in order. Travel more confidently knowing you have all the insights and the knowhow to make the most out of it. Make sure you know where you want to go and at what time you want to be there. After this, you will be able to plan your time perfectly and book your flight.